Yesterday, the CACI Board of Directors voted to oppose Ballot Initiatives 75 and 82. Both initiatives are wending their way through the ballot qualification process of the Legislative Council and the Secretary of State’s Office. Both proposals, if approved by the voters on November 4th, would severely harm the state’s business climate, in CACI’s view. On Wednesday, the Ballot Title Setting Board of the Colorado Secretary of State’s Office set the title of Ballot Initiative 75 and approved the final version of the initiative, which is called the “Right to Local Self-Government.” Staff of the Legislative Council and the Office of Legislative Legal Services issued an analysis of Ballot Initiative 75 on February 27th. Shall there be an amendment to the Colorado constitution concerning a right to local self-government, and, in connection therewith, declaring that the people have an inherent right to local self-government in counties and municipalities, including the power to enact laws to establish and protect fundamental rights of individuals, communities, and nature and the power to define or eliminate the rights and powers of corporations or business entities to prevent them from interfering with those fundamental rights; declaring that such local laws are not subject to preemption by any federal, state, or international laws so long as the local laws do not weaken any fundamental rights or protections for individuals, communities, or nature found in federal, state, or international law? In essence, this measure, if approved by the voters on November 4th, would allow localities to enact local ordinances that would attempt to contradict existing State and Federal law and regulations that govern business operations. 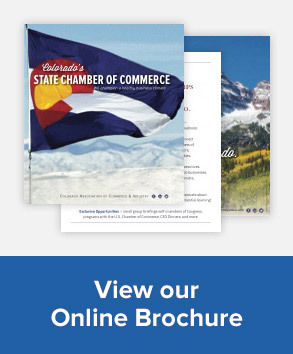 The audacity of this blatantly anti-business proposal can only be matched by the prospect of furious legal action by the State of Colorado and the state’s business community, which would eventually land in the arms of the Colorado State Supreme Court. The addition, the Commerce Clause of the U.S. Constitution would undoubtedly provide the Federal Government with a reason to take a close at Ballot Initiative 75, should it be approved by Colorado voters. The proposal is advocated by a group called Colorado Community Rights Network, whose Facebook states: “Laws that raise corporate rights above the rights of people need to be changed.” The proponents of the measure are Clifton Willmeng and “Lotus.” The Secretary of State’s Web site notes that Lotus does not have a last name. “Proposed statewide ballot measure would give Colo. communities power to ban fracking,” by John Aguilar, The Boulder Daily Camera, January 2nd. Ballot Initiative 82 is called “Local Control of Oil and Gas Development,” which would allow local governments to restrict oil-and-gas production, whose regulation is mainly placed in the hands of Colorado State Government, specifically with the Colorado Oil and Gas Conservation Commission. Staff of the Legislative Council and the Office of Legislative Legal Services produced an analysis of Ballot Initiative 82 and held the Review and Comment Hearing on March 7th. The measure is set for a hearing by the Ballot Title Setting Board on April 2nd. The proponents are Laura Fronckiewicz and Kelly Giddens. 3 p.m. today was the deadline for filing ballot initiatives with the Legislative Council. At least eight called “Oil and Gas Operations” had been filed by this morning: 85, 86, 87, 88, 90, 91, 92 and 93. The two proponents on the eight measures are Caitlin Leahy and Gregory Diamond. Yesterday, the House Health, Insurance and Environment Committee heard testimony on HB-1297, a bill to fund a study of the impact of oil-and-gas production on health and quality of life for Front Range residents. The bill was laid over to await amendments and Committee action. The bill’s primary House sponsor is Representative Joann Ginal (D-Fort Collins). The CACI Energy and Environment Council opposes the bill. Although the Colorado Department of Public Health and Environment (CDPHE) last year opposed a similar bill sponsored by Representative Ginal that failed in committee, the Department worked with her on this year’s version. CDPHE, however, has taken a neutral position on the bill because the bill contains an oversight committee whose members are politically appointed. The bill’s fiscal note, released Wednesday, estimates that the study would cost $566,000 over the state’s next three fiscal years beginning July 1st. The bill requires the Colorado Department of Public Health and Environment (CDPHE) to study and report on the health and quality of life effects of oil-and gas-operations for selected communities in Adams, Boulder, Larimer, and Weld Counties. The study will be conducted in two stages, as described below. The legislation requires a review of related literature by CDPHE, followed by further study of two conditions and a report to the General Assembly, with oversight by a “Scientific Oversight Board” comprised of appointees selected by the Governor and legislative leadership. Thank you very much for the opportunity to speak with you today. My name is Jennifer Biever and, as the Chair of CACI’s Air Quality Committee, I am here today to discuss some of the concerns regarding House Bill 1297. HB-1297 states the objective of “analyzing the health and quality of life of residents in selected communities to understand whether there are any effects of oil and gas operations on the residents of these communities.” HB-1297 purports to effectuate this goal through: a review of peer-reviewed literature; public surveys; and follow-up analysis on the public surveys. First, CACI strongly disagrees that analyzing the quality of life of residents should be part of any scientific study. Quality of life is too intangible and subjective. In fact, quality of life is so subjective that it can vary even among members of households and thus presents no reasonable measurement by which true impacts from oil-and-gas operations can be ascertained. HB-1297 assumes that oil-and-gas operations present only negative quality-of-life considerations but does not appear to be designed to account for the quality-of-life benefits achieved from daily use of oil and natural gas even by the expected participants in the surveys. Second, surveying the public as to their opinions on impacts from oil-and-gas operations does not constitute a study or even an “analysis.” Members of the public bring with them a host of subjective, historical and other perspectives that cannot be understood or limited in a public survey. As a result, the impacts will not provide objective, scientific or even well-intentioned data to the Colorado Department of Public Health and Environment and the oversight committee. By way of example, my young son recently had a food allergy. As a mom, I immediately contacted different people in my life to seek their advice. One thought it was gluten, particularly given all the recent information in the media regarding gluten sensitivities. Another thought it was dairy – supported by new studies indicating that human children often have difficult digesting dairy products from other animals. I received many different and varying thoughts on the cause of this allergic reaction from a range of different people in my life – all basing their opinions on their individual experiences, articles they had read, and word of mouth they had heard from other people. So, I went to my doctor and his response: I cannot tell you what it is. You will need to systematically remove foods from his diet until you find the problem. This was not of course the easy answer that I wanted to hear to help my child resolve his allergic reaction but it was the scientific and legitimate answer that would ultimately help us determine the cause of his allergic reaction. Similarly here, a public survey will only provide speculation and unscientific information into what should be an objective and evidence-based dialogue. By seeking public opinion, particularly from urban counties that have expressed political opposition to oil-and-gas development, as the basis for the analysis, HB-1297 assumes a negative connection between oil-and-gas operations and public health and provides no mechanism for identifying whether other industrial processes or sources in fact factor into public health considerations. Third, CACI expects that a review of the numerous peer-reviewed studies regarding oil and gas will demonstrate no credible scientific studies concluding specific negative impacts from oil and gas studies. However, despite the lack of scientific studies demonstrating scientific correlation between oil-and-gas operations and public health impacts, HB-1297 assumes that oil and gas operations result in negative health impacts and as a result sets the threshold for further assessment too low. By way of example, HB-1297 requires that the Department identify following the literature review “conditions of interest” that “might” be related to oil-and-gas operations and summarize those conditions in its written report. Similarly, HB-1297 requires case-control studies on at least two relevant “conditions of interest” identified in the public surveys – regardless of whether in fact there is any scientific basis or evidence supporting that those “conditions of interest” are related to oil-and-gas operations. By assuming that the presence of “conditions of interest” indicate causation, HB-1297 eliminates true scientific analysis as part of the study. Recent Regulation Number 7 reducing emissions. Additionally, numerous other studies, including those in which the Department is engaged, are ongoing. Given these extensive public protections, a study that merely assesses public opinion and assumes true and scientific impacts associated with those opinions does not assist in evaluating and addressing oil-and gas-operational impacts. As each of you know, the debate regarding oil and gas and the impacts of oil-and-gas operations on the environment and public have become very politicized both here in Colorado and nationally. As a result, we have lost our way in achieving the goal of having objective and meaningful dialogue as to the true impacts associated with oil and gas operations. To the extent that any study or analysis should be performed to address these issues, it should be focused on just that: the true impacts of oil-and-gas development from a scientific and unbiased perspective. Under HB-1297, the scientific oversight committee (and I emphasize scientific) would consist of voting members appointed by the Governor and members of the Colorado legislature. Of the voting members, six will invariably be from the same political party as the Governor, and none of the three voting members outside of that political party can have any ties to or affiliation with the oil-and-gas industry. HB-1297 contains no similar restrictions for affiliations with entities or communities that have a demonstrated political agenda against the oil-and-gas industry. As a result, the scientific oversight committee has a significant chance of continuing and not reducing the political nature of the current discourse around oil and gas operations . CACI and other representatives of industry and the oil-and-gas industry in particular recognize the importance and need for information to address perceived risks from oil-and-gas operations and to seek to alleviate public concerns. In fact, many industry members have and continue to partner with renowned universities and national environmental organizations to evaluate various impacts from oil-and-gas operations. These studies have the backing of academics, environmental organizations and many members of industry. Those types of studies will seek to reduce the current and perceived information gap associated with impacts from oil-and-gas operations. To effectively determine the extent to which the actual risk associated with oil-and-gas operations and the perceived risk of oil and gas operations match, any information developed must be scientific, politically unbiased and serve not particular interests. Developing a “study” or “analysis” that focuses on individuals in areas known to have objections regarding oil-and-gas development and their own subjective assessments as to the impacts from oil-and-gas operations and requiring an incredibly busy and resource-deficient state agency to evaluate impacts based on those subjective assessments does not achieve the goals of seeking better and reliable information. The significant funds, resources and time (estimated by the Department to be over $500,000) that would be needed to carry out the mandates in HB-1297 are better reserved for seeking true scientific and reliable information. CACI has significant concerns regarding the precedent that HB-1297 would set in authorizing the state’s limited resources to analyzing public opinion and subsequently labeling that public opinion as science. HB-1297 not only presents significant concerns to our oil-and-gas members but also to other industry representatives that disagree with politicizing science and have concerns about the precedent-setting nature of HB-1297 for all of Colorado. “Bill pushing study of oil and has health impacts aired in committee,” by Mark Jaffe, The Denver Post, March 21st. For information on this bill, contact Carly West, CACI Governmental Relations Representative, 303.866.9622. A ballot initiative that threatens to overturn Colorado’s system of water management has made its way one step closer towards the ballot. Proposed Initiative #103 – Public Trust Resources has had a letter issued on March 12th by the Legislative Council and the Office of Legislative Legal Services, indicating that no further review and comment is necessary, and the measure can move on to consideration by the Title Setting Board of the Colorado Secretary of State’s Office. The initiative defines clean air, clean water, and the preservation of the environment and natural resources as “public trust resources” and states that they are the common property of all the people, including generations yet to come. As trustee of these resources, the state shall conserve and maintain them for the benefit of all the people. The proponents are Phillip Doe and Barbera Mills-Bria. The initiative would be devastating to the Colorado economy, upending the water and property rights necessary for all functions of the state. CACI opposes the initiative. Many other business organizations are concerned about the shattering impact this law would have in Colorado. In order to provide education on the initiative and its potential impact, the Colorado Water Stewardship Project will be providing a webinar on the initiative on Tuesday, March 25th, at 12 Noon. Contact Carly West, CACI Governmental relations Representative, at 303.866.9622 to receive the link to the webinar or for more information. “Cities that ban drilling would lose severance revenues under bill,” by Kurtis Lee, The Denver Post, March 21st. “Two Colorado enhanced-insurance benefits bills do the same thing, meet same opposition,” by Ed Sealover, The Denver Business Journal, March 21st. “Colorado lawmakers target telecom reform and $54 million phone subsidy,” by Andy Vuong, The Denver Post, March 20th. “Rosier budget could trigger TABOR refunds,” by Peter Marcus, The Colorado Statesman, March 21st. “Colorado ER legislation may hold the line on costs,” editorial, The Denver Post, March 21st.